After the success of "November Rain" and "Mero Auta Sathi Chha" Namrata Shrestha and Aaryan Sigdel will now be seen in the new nepali movie "Classic" as an on screen couple. The movie is going to be made under the collaboration of Subas Entertainment and Aaryan Sigdel Entertainment. The movie will be directed by Dinesh Raut. The movie will go into floor from Baishak 2072 B.S. Actress Namrata Shrestha will be acting as a visually impaired person in this movie. Social Work, Love and Sacrifice - This is what the new nepali movie Bhool Bhulaiyua has to showcase starring with Jiwan Luitel and Neeta Dhungana, Mohan Ghimire, Laxmi Giri. The movie is directed by Yogesh Ghimire whose previous movies include Notebook (2013), Na Birse Timilai Na Paye Timilai (2011), Sapoot (2007) - Debut etc. After the success of the 2 of the sequels "Nai Nabhannu La" and "Nai Nabhannu La 2" here comes "Nai Nabhannu La 3". Director Suresh Darpan Pokhrel had announced the making of his new nepali movie Love Birds on the valentine's day 2014 introducing two new faces Paul Shah and Barsha Raut both being a well known and popular faces in modelling. Love Birds will go into floor from Baishak 2072 B.S. and the movie is planned to be shooted at Pokhara and Chitwan as per the news sources. 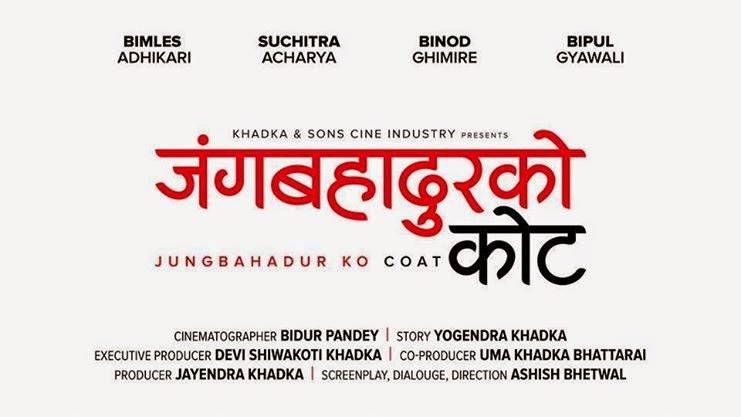 It has come to be known that Director Suresh Darpan Pokhrel tried to sign Anmol KC in this moive but due to Anmol KC's busy schedule he was not able to sign him. Based on a true and historical story of matyr Bhimdutta Panta this nepali movie features Nawal Khadka, Nisha Adhikarim Sumina Ghimire, Sriram Pudasaini, Ramesh Budhathoki, Kabita Sharma, Laya Sangraula in main roles. Actor Nawal Khadka will be seen as the revolutionary leader Bhimdutta Panta who could not tolerate the injustice, inequality, discrimination and exploitation in the society.